Canine roundworms are a serious health issue in dogs which, if not treated earlier, can result in severe illness or even death, especially among puppies. Roundworms belong to Ascarid family and two important species in dogs are Toxocara canis and Toxascaris leonine. Before you treat roundworms in dogs, it is important to know about how roundworms spread, its symptoms, and how it should be treated. From mother’s womb to pup: Prenatal infection is the most common cause. The already infected mother transmits roundworm larvae to infect the developing fetus. Puppies thus are born with worms in their intestines. Through mother’s milk: Nursing mother dogs may pass the larvae to puppies via milk. Through other dogs: Infected adults release microscopic worm eggs in their feces or vomit, which in turn may be ingested by other dogs and puppies (You know dogs have this habit of licking and sniffing other dogs’ feces). Although older dogs rarely fall ill due to this, they become lifelong carriers of roundworms in their intestines. Through other animals/birds: The occasional predation of roundworm infected mouse, rodent or bird by your unguarded dog may result in infection. There are usually no symptoms in primary stages of infection. Worm eggs and larvae can remain dormant in pet’s body and become active only during pregnancy and also in conditions of stress. As the population of roundworms increase, they begin to show in feces or vomit and are quite large (up to 5 inches) to be visible. Highly infected pooches will show ‘classic’ signs – pot-belly and persistent diarrhoea. 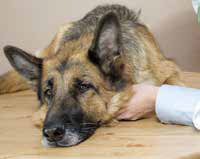 Other signs include weakness, lethargy, weight loss, insomnia, stomach pain, and a dull coat. • Dispose dog feces as soon as possible to avoid the transmission. • Treat females before breeding and during late pregnancy. • Deworm puppies at a young age, preferably as early as 2 or 3 weeks. Treatment for Roundworms in dogs is a proven, effective dewormer chewable tablet containing three active ingredients – Praziquantel, Pyrantel Pamoate and Febantel – active against major species of worms, including roundworms. Seek your veterinarian’s advice for dosage and prevention. 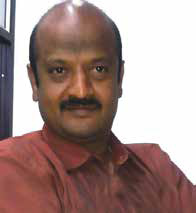 (Dr Amarnath Muthukrishnan is a senior veterinary surgeon at Amulya Pet Specialty Clinic, Salem, Tamil Nadu).